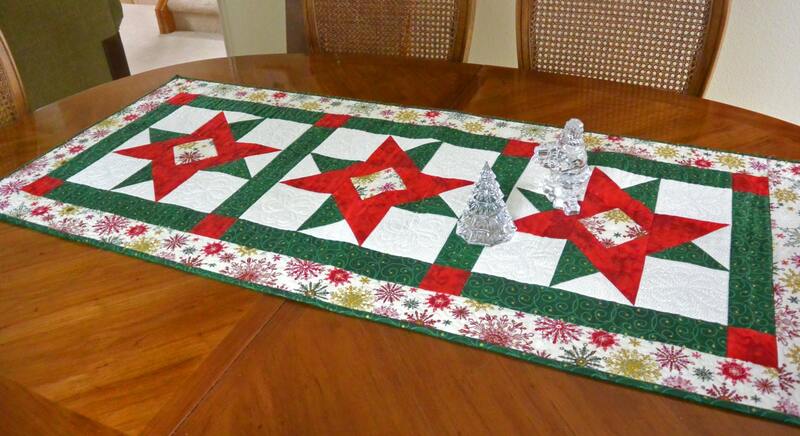 This handmade quilted table runner is certain to become a Christmas home decor favorite with its festive red and green stars. 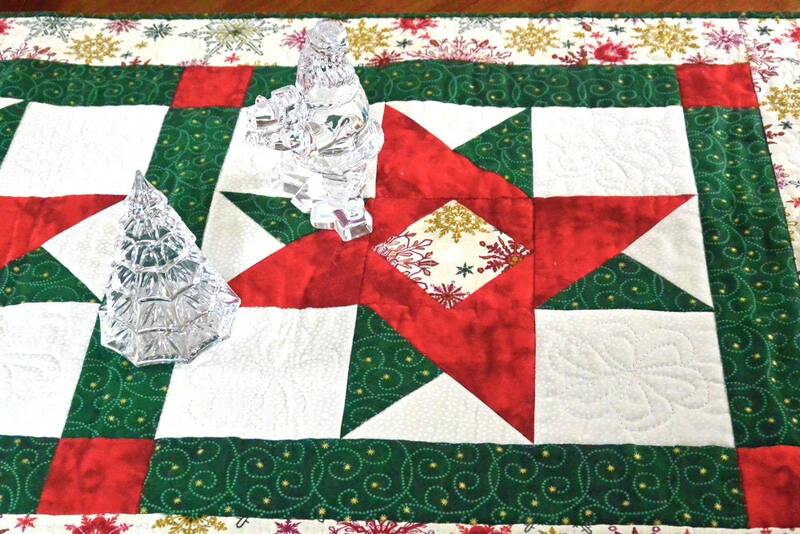 It features lively, sparkly fabrics to spice up your holiday decorating. 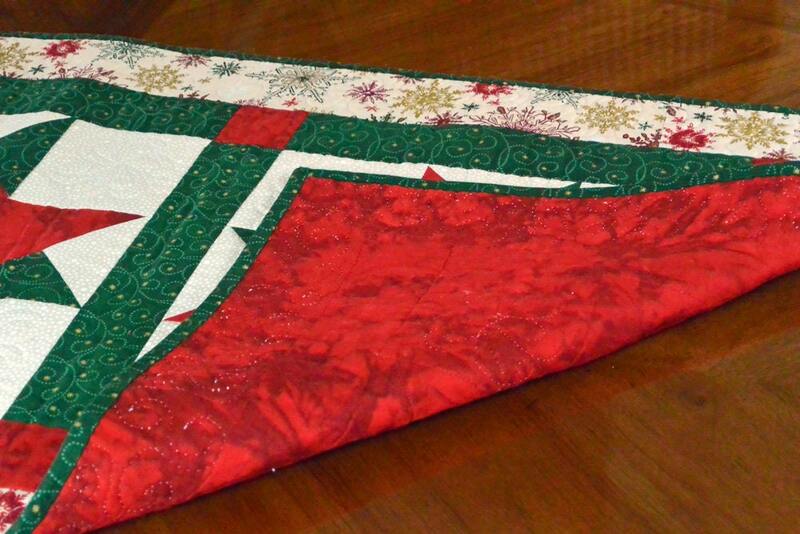 The red and green are a true red and green, with a patterned fabric in the center of the stars and along the border. The patterned fabric glistens with metallic threads woven into it. The runner measures 21" x 49" and would look lovely on a coffee table (I put my Santa collection on mine), a credenza or gracing your dining table. This one-of-a-kind hand-sewn table mat is a charming table linen that will be yours and yours alone! This quilt is made from the finest quilting-quality cottons and is completely crafted and quilted by me on my sewing machine. I use a double-fold binding which is machine-stitched in place and finished by hand. NOTE: This listing is for the table runner only. The glass figurines are NOT included.